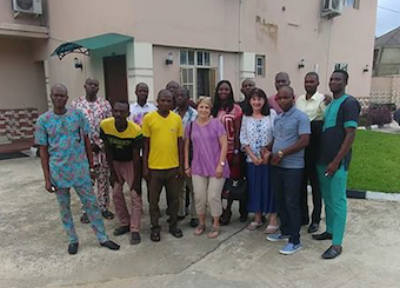 Partner in Action Director of Global Projects, Jean Bowman together with Mission Africa Victor Jakpor, Kim Steele and David Egboro are currently in Nigeria working on the ground work for our next sustainability project, fighting malnutrition through organic farming in Nigeria. The team will present a sustainability plan to the local leaders. Based on learnings from the pilot we will engage with Church and civic leaders to identify a broad roll out of farming in the community. While in Nigeria, the team will put in place the local on the ground team in Sapele who will lead this effort. Farming is desperately lacking in Nigeria and the growth of farming will enable employment opportunities and aid the undernourished population. The Team met with Organics 4 Orphans to determine the best types of crops for Nigeria and to train participants in farming techniques. The pilot includes mid-size farms (1-3 acres), small family farms, and a farm at a local school. For the school we will implement a new source for potable water and add agriculture to the curriculum. The pilot will serve to identify local individuals on the ground to lead the next phase of the project. WATCH for an update and photos from the Team’s trip in our June newsletter! founders, Lorphine and Pierre St. Louis with Veronica Miranda this week before returning to Haiti. The St. Louis’ have a heart for the Haitian people and a desire to see lives transformed through the gospel of Jesus Christ. Lorphine was born and raised in Haiti as a house slave. She immigrated to Florida at the age of 18. 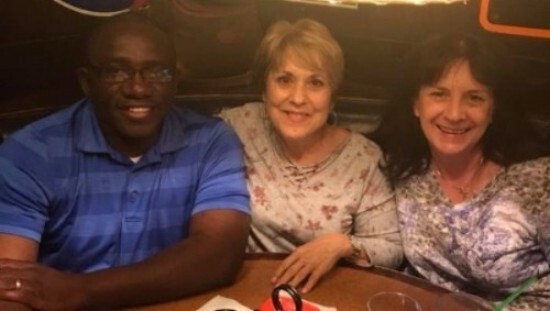 After she and Pierre, who also has Haitian roots, met and married in 2007, they responded to God’s call to return to Haiti to serve the impoverished nation. PIA Intern, Veronica, a Sophomore at Washington State University and a campus leader for Young Life will be spending her summer in Haiti with them. 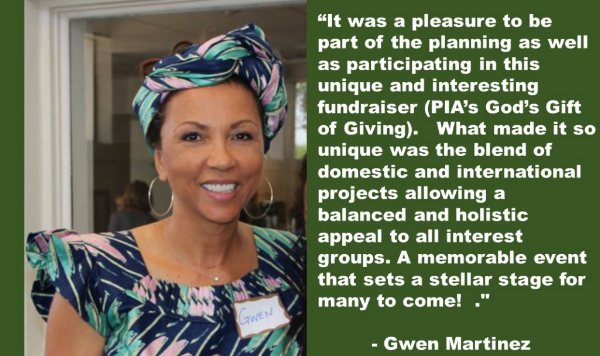 WATCH in our June Newsletter for more about their visit to PIA! On Saturday, April 28, 2018 Partners in Action together with Phoenix Rescue Mission held their first annual women’s event at the Mission Possible Café. Watch how over 100 talented, spiritual, compassionate women came together to explore God’s gift of giving and to learn about Partners in Action’s ministries both locally and internationally. Author Erin Weidemann was the keynote speaker at an April 28 brunch at the Phoenix Rescue Mission’s Mission Cafe celebrating Partners in Action’s 31 years of service. Weidemann spoke to the group about how the women of the Bible can inspire girls and women to use their natural gifts and talents to benefit others. Other women at the brunch include ministry partners who have worked with Partners in Actions to help communities around the world become self-sustaining. Also in attendance were a group of Syrian women with whom the group is working to develop programs. “We were thrilled to have Erin’s positive message resonate with so many at our brunch. She is truly a survivor of life’s curveballs,” said Donna Kent, the group’s chairman of the board. Support PIA while you shop! Amazon will contribute a portion of every dollar you spend to Partners in Action. This does not change the cost of your items purchased – it is a small way that Amazon gives back. Simply change your login to www.smile.amazon.com and select that your donations go to Partners in Action. Call us at 480-882-0800 if you need assistance. Receive our Newsletter and notifications about upcoming events and engagements. Learn about the difference you will make when you invest your time, skills, and money in our Global Ministry Kingdom building ventures. Your financial support enables our Mission to build sustainable communities across the globe and to spread the Gospel of Jesus Christ to the people we serve. 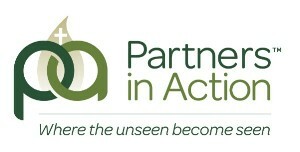 Partners In Action creates social impact by empowering humanitarian projects that focus on improving the lives of individuals in underserved communities around the world. © 2019 Partners In Action. All rights reserved.